Attendance: Paul, Carly, Ken, Ted, Jane, Angela, Caileigh, Greg, Tom, Brian, Blaine, Ray. Promoting the Family aspect of our sport. How can we help to encourage more clubs to have events and or races for the kids? 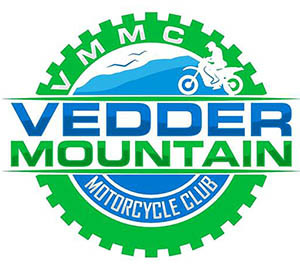 Divide riders into over 18 and under 18. This will help the permitting process. Promote sports men class. All focused around new permitting processes, max 100 riders. Coastal riding areas at this time. Work building a kids ride made up several locations. PN could offer support to clubs who host event. Motion: PN would like develop and support the clubs in building the kids sportsman ride at each event. PN to support clubs with a $10 payback per sportsman rider to go towards the cost towards shirts trophies. Motion: PN to support a payout for a mystery class $100 to random a class at each event (14 classes). Will be drawn at each event. Race time keeping gas allowance. Can we move forward with having two people getting reimbursed? Motion: Appointed time keepers’ gas/hotel allowance up to two people getting reimbursed. Must submit receipts. Training new folks should be done locally where and when possible. Section 56 & 57 battles, section 16(?) requirements and moving forward how are the clubs going to deal with this and can we help? PN is a good resource of support, multiple folks in PN are currently working through processes. How can support and encourage club on the importance of applications.